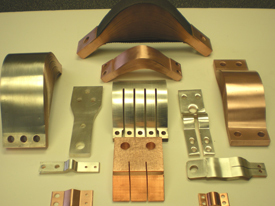 Send your Custom Shunts and Contacts Drawings to American Power and one of our product specialists will quickly review your needs and provide details on American Power’s solutions. 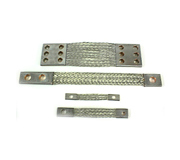 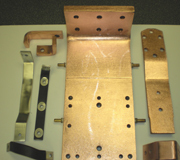 We custom design laminated shunts in a range of hole patterns and sizes. 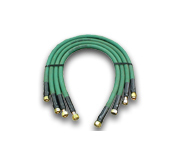 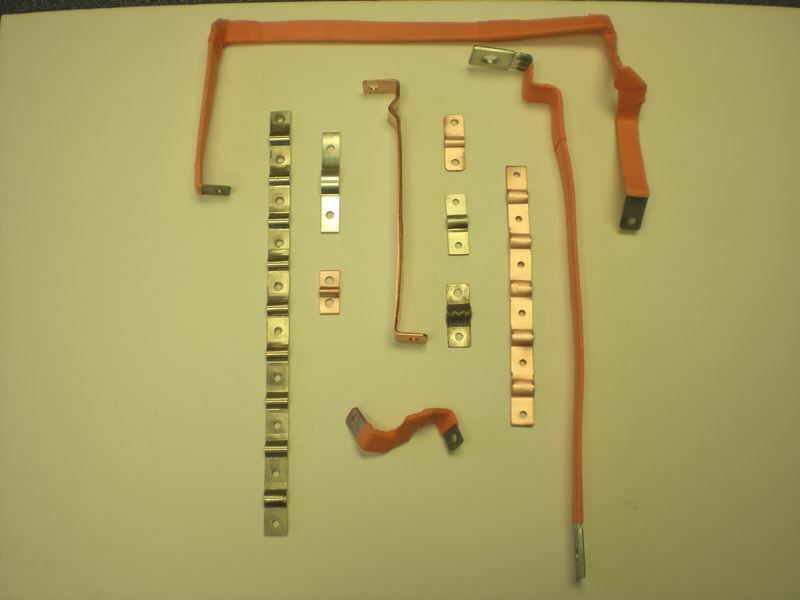 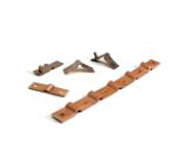 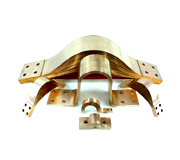 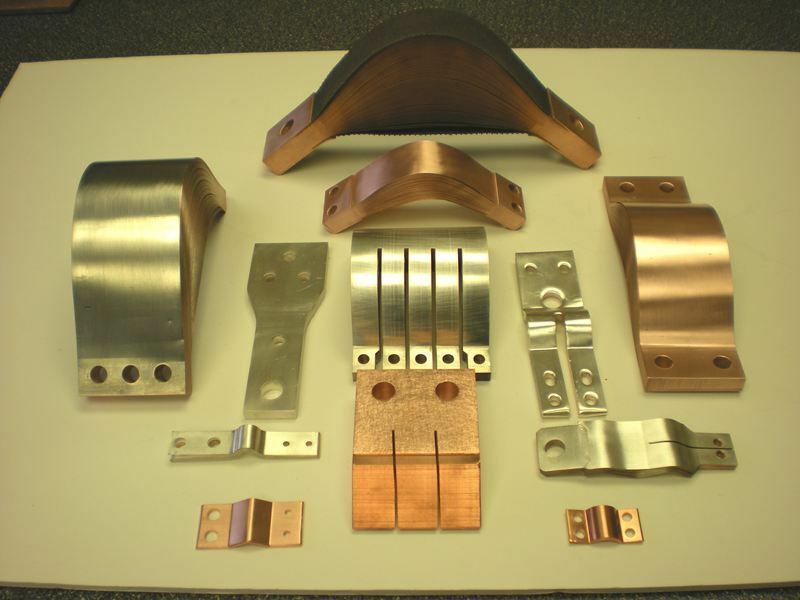 The terminal ends of our custom designed laminated shunts can be secured by solder dipped ends, swaged, and riveted copper clips, or a welded construction. 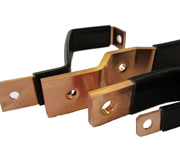 We can also supply electrical shunts with loose ends and tinned or silver-plated contact surfaces. 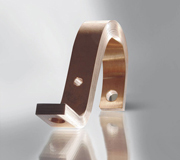 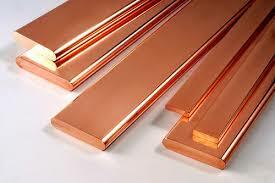 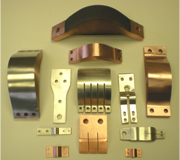 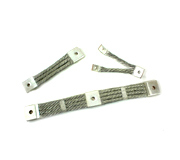 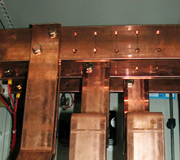 Through press bonded lamination, we improve the electrical conductivity of our shunts. 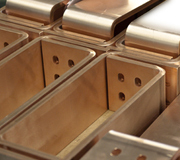 Press bonding also eliminates the need for plates or clips and offers optimal electrical values. 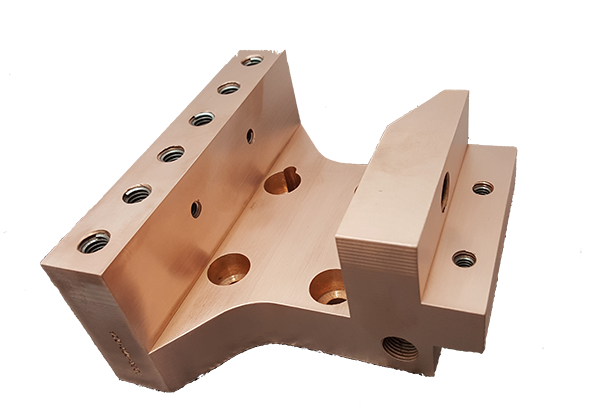 Our in-house tool & die department allows us to form as well as punch shunts of various types, including type F (straight), type C (180), and type J. 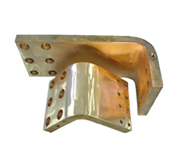 A range of parameters can be customized, including the thickness, lamination thickness, width, length, hole size, hole pattern, and required end type.